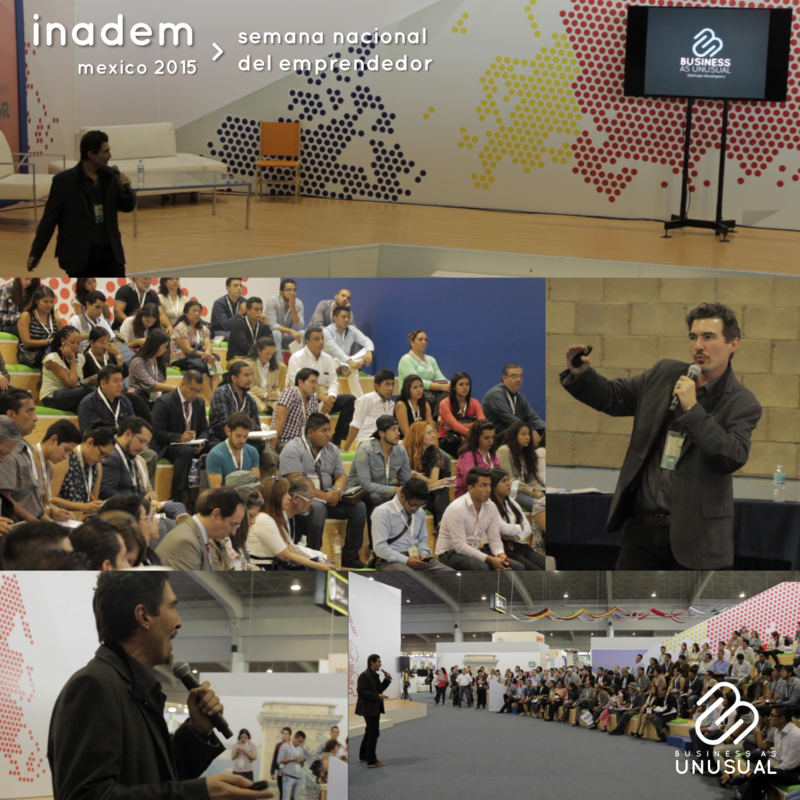 Business as Unusual pointing out ‘The Typical Mistakes of Entrepreneurship’ at La Semana del Emprendedor organized by the INADEM (Instituto Nacional del Emprendedor). ExpoBancomer. Mexico City, CDMX, Mexico – October 2015.